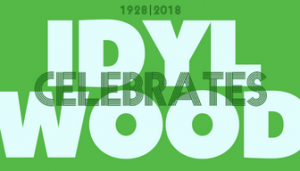 You are here: Home / Events / Bayou Greenway Day Is March 24! 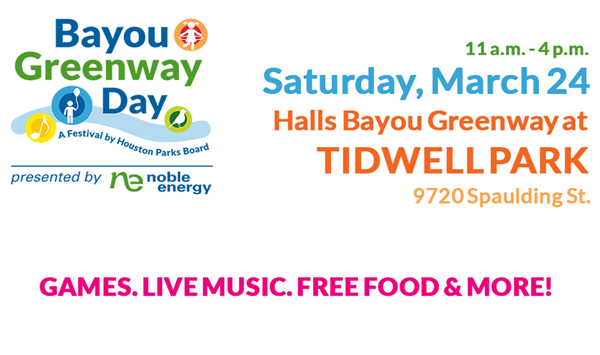 Bayou Greenway Day will be full of family-friendly activities, games, live music, FREE food and more. Get to know Halls Bayou Greenway and explore all the fun outdoor activities you can enjoy there. Sports activities with the Houston Texans and Houston Dynamo! Mascots, cheerleaders, coaching drills, enthusiasm, and fun for the whole family. Live music from ThunderSOUL Orchestra! First 3,000 attendees will receive a FREE Houston Astros cap! Fun Run/Walk to begin at 12 p.m.